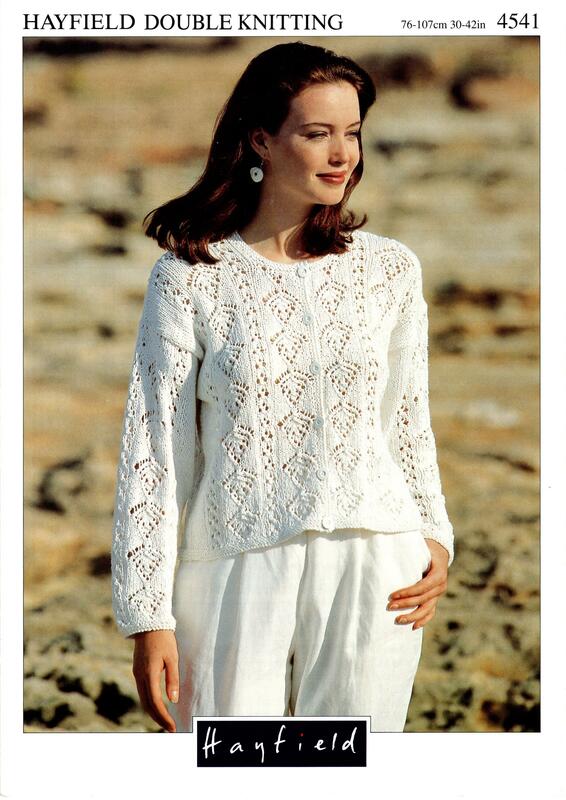 This Hayfield booklet contains 1 knitting pattern for women's cardigan. The designs are intended to be knit with Hayfield Yarns in any of their cotton DK bases. The pullover is a long sleeved lace design - a perfect spring or autumn fashion piece.